Acne Vulgaris or just simply acne is a common skin disorder that is not limited to teenagers. Acne forms on the skin as a result of the hair follicles in the skin becoming clogged with oil, dead skin cells and dirt. The hair follicles then become infected with bacteria and your skin inflames. This skin condition is characterized by the formation of blackheads, whiteheads and pimples on the skin and depending on the severity it can leave mild to severe scarring. The most common areas for acne to form is on the face, back, chest and shoulders. If you are not sure or would like some advice on which treatment will provide the best solution. Please don’t hesitate to contact us! Chemical Peels can be an effective treatment for rejuvenating the skin and removing dead skin cells off the face. By clearing all the dirt and dead skin cells, you open up the pores of the skin allowing the hair follicles to breathe. Cleanse, exfoliate and treat your skin with a cleansing facial. Cleansing Facials are effective at removing the sebaceous build up on the skin which relieves pores and reduces the amount of acne present on the skin. 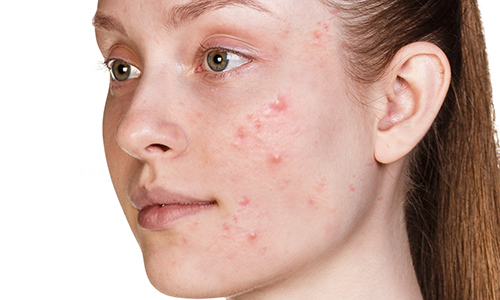 Battling with acne scarring can be difficult and damaging to your self-confidence. Our PRP treatments are effective at treating acne scarring through the body’s own natural ability to heal itself. Exposure to the sun, the stress of modern day living accelerate the aging process leaving one looking and feeling tired and worn out. In addition, being overweight has many psychological and medical implications. Together, these factors often have a negative impact on how we feel about ourselves and how confidently we interact with others, in both a personal and professional capacity.